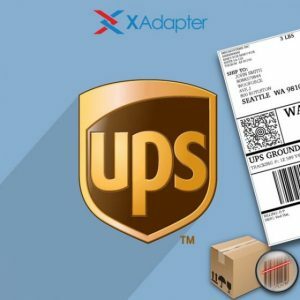 In this article, we will discuss WooCommerce UPS Shipping Plugin with Print Label and how using this plugin you can disable shipping rate calculation till the cart value exceeds a particular amount. WooCommerce store owners enjoy tons of features that enable them to boost their business. Advanced shipping is one of these features. However, in some special cases, online store owners may choose to provide shipping only after their customers have spent a dedicated amount. This can prove to be very beneficial for the products that are related to each other and can help customers buy all the related products at the same place. However, before going deep into the functionality, let us check out briefly about WooCommerce UPS Shipping plugin and some of the advanced features that it provides. Now since you are well aware of the plugin and the features it provides, let us check out how the plugin allows you to set a minimum purchase amount to show the delivery options. WooCommerce UPS Shipping plugin is the best shipping plugin you can get for your WooCommerce store. Besides providing some of the unparalleled features, the plugin also offers those features that can be the selling point for most store owners. One such feature is setting a minimum price value for the customers to enable shipping rates. The plugin allows you to enter a Minimum Order Amount in order to trigger the calculation of shipping rates. The image below shows the option to set the minimum order value. Also, if the cart value is less than the Minimum Order Amount, the customers will not only be able to see the shipping rates, but the following message will be displayed on the cart page. However, in case, you require your customers to know the reason why shipping rates are not displayed on their cart page, there is another way out. One of the best ways is by displaying it on the cart page. This can be easily done by changing the default WooCommerce message. You can check out how you can change the error message to fit your business needs, here. The image below gives an example of how you can change the message that is displayed on the cart. Now, once the cart value exceeds the Minimum Order Amount, the plugin displays the real-time UPS shipping rates for both domestic and international destinations. The image below shows the shipping rates for an order placed domestically. You can see the cart value exceeds $50 and that triggers the shipping rate calculation. It is clear from the image above that using the Minimum Order Amount option, the store owners can choose the limit until which the plugin will not calculate shipping rates. In this article, we discussed WooCommerce UPS Shipping plugin and how using this plugin you can easily provide an option to have a Minimum Order Amount for shipping rate calculation. WooCommerce UPS Shipping plugin allows you to let customer purchase up to a minimum amount before allowing them to enjoy the shipping services. This article also covers how you can choose to change the default WooCommerce message to help customers understand why the shipping rates are not displayed.